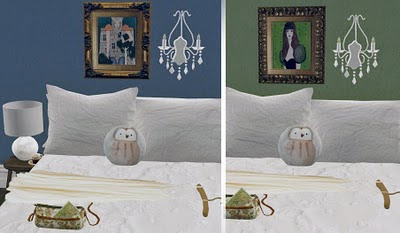 4 recolors of billyjeans wall lamp, a recolor of mounes round cushion and frame & painting recolors of this nof (what is the site actually called? ah sorry) picture. All meshes are included. 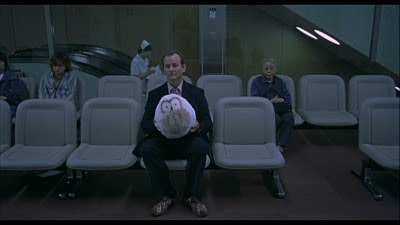 BTW: It's the Lost in Translation owl pillow Bob gives to Charlotte when they're at the hospital. Awwwww. I was lucky enough to find a high-res picture of it some months ago, but always forgot to actually use it. I used to lovr HIMYM until about two seasons ago.. now I only love Parks and Recreation, and Chuck. Needless to mention these here, since tge last thing you need right now is more time - wastage. Thank you for sharing your cute cushion. Love your works soooooooooooo much.